Maersk Line is upgrading its eight E-class 15,550 teu vessels to load a further 1,300 teu. Raising the accommodation block and wheelhouse and increasing the height of lashing bridges to take an extra tier of containers is part of the strategy to double the lifetime of the 10-year-old ships, and could be viewed as a statement from Maersk on maximum vessel size intent. Remedial work was needed on the Odense-built ships after the Emma Maersk was fortunate not to sink at the northern entrance to the Suez Canal in early 2013 after the hull was fractured by a failed stern thruster. After the incident, Maersk prohibited the use of stern thrusters on its Emma-class ships until modifications could be made to the fleet. The upgrading, which also includes fitting a new bulbous bow to cope with slower speeds and a new propeller, is being carried out at China’s CSIC Qingdao Beihai Shipyard, which has undertaken the majority of previous Maersk Line ship upgrades. It is understood that the first E-class vessel converted was the Eugen Maersk, which has now rejoined the 2M AE1/Shogun Asia-North Europe loop. For many years the E-class ships were the largest container vessels afloat, albeit that when the Emma Maersk was deployed in September 2006, Maersk Line was somewhat coy about its maximum capacity, stating that the nominal capacity of the ship was 11,000 teu with a maximum intake of 13,460 teu. But the Danish carrier’s $3.8bn 2011 order for 20 Triple-E 18,340 teu ships was an industry game-changer that launched a rush to build ULCVs by container lines that did not want to be disadvantaged in the market in terms of inferior unit costs. Last year, Maersk announced that it had placed an order for 11 (plus six optional) second-generation Triple-Es with a capacity of 19,630 teu for delivery during 2017-2018. For now the zenith on the optimum size of ULCVs appears to have been reached at round 20,000 teu. This is partly due to the fall in bunker prices, but mainly that these behemoths have to be filled to derive an economy of scale benefit – a challenge not just for the carriers, but also for their vessel-sharing alliances. As The Loadstar reported yesterday, the appetite of carriers for ordering more big ships has waned significantly this year as the lines struggle with chronic overcapacity and massive trading losses. Maersk’s decision to upgrade its E-class fleet suggests that the current crop of ULCVs could be in service for some time, given that the limit may have been reached in capacity. 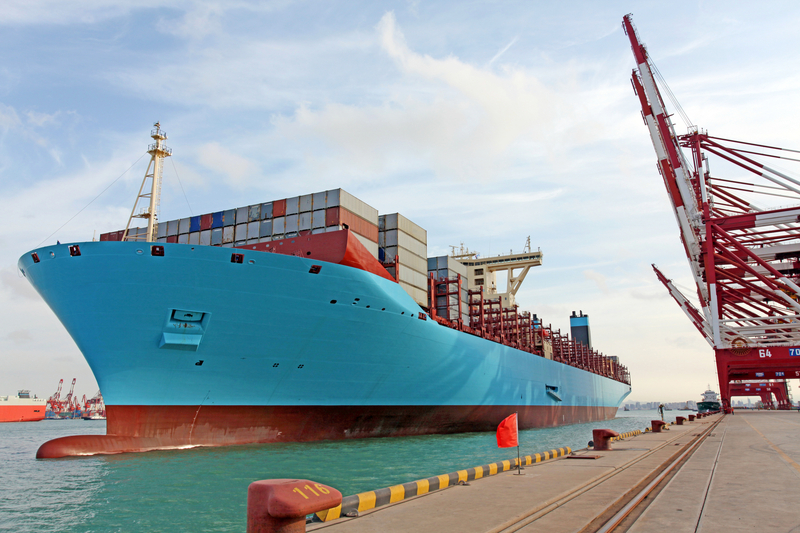 Maersk Line has invested millions of dollars in retrofitting not only its owned fleet, but also ships on long-term charter, typically to reduce fuel consumption by the fitting of new bulbous bows.